Mark your calendars! A tour of the Hula Preservation Society in Kaneohe has been arranged for Saturday, August 23, 2014 (10 am -1 pm). Registration information will be distributed in mid-July so please stay tuned to this space for updates. 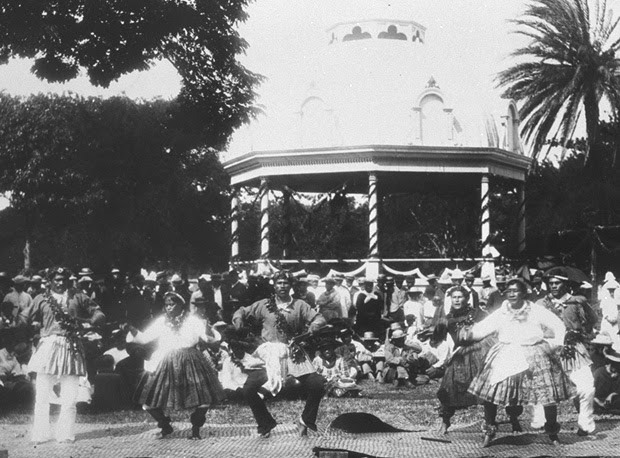 King Kalakaua’s Jubilee on the grounds of ‘Iolani Palace in 1886.